Speech impairment is one of the most intriguing and least understood effects of alcohol on cognitive function, largely due to the lack of data on alcohol effects on vocalizations in the context of an appropriate experimental model organism. 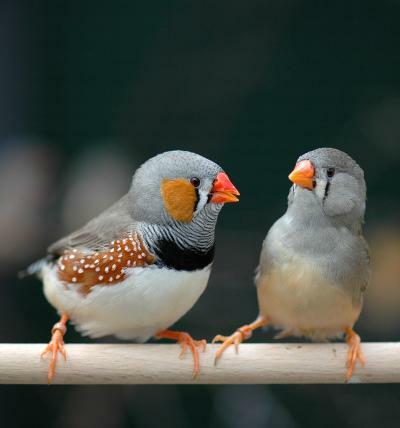 Zebra finches, a representative songbird and a premier model for understanding the neurobiology of vocal production and learning, learn song in a manner analogous to how humans learn speech. When allowed access, finches readily drink alcohol, increase their blood ethanol concentrations (BEC) significantly, and sing a song with altered acoustic structure. The most pronounced effects were decreased amplitude and increased entropy, the latter likely reflecting a disruption in the birds’ ability to maintain the spectral structure of song under alcohol. Furthermore, specific syllables, which have distinct acoustic structures, were differentially influenced by alcohol, likely reflecting a diversity in the neural mechanisms required for their production. Remarkably, these effects on vocalizations occurred without overt effects on general behavioral measures, and importantly, they occurred within a range of BEC that can be considered risky for humans. Results suggest that the variable effects of alcohol on finch song reflect differential alcohol sensitivity of the brain circuitry elements that control different aspects of song production. They also point to finches as an informative model for understanding how alcohol affects the neuronal circuits that control the production of learned motor behaviors. This according to “Drinking songs: Alcohol effects on learned song of zebra finches” by Christopher R. Olson, et al. (PLOS one IX/12 [23 December 2014] e115427). Above, a female zebra finch reacts to a (perhaps inebriated) male; below, a (perhaps sober) zebra finch with a fastidious friend.